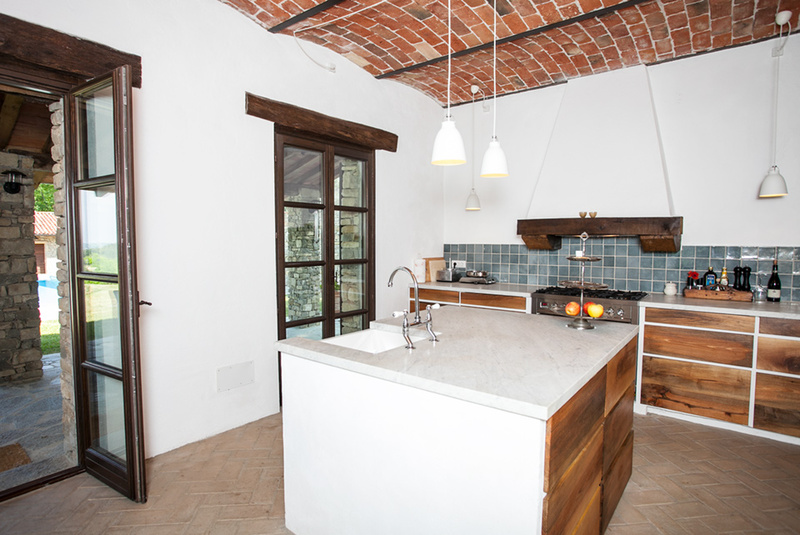 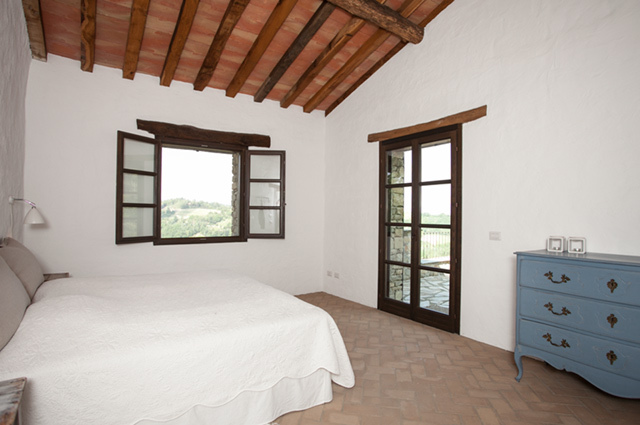 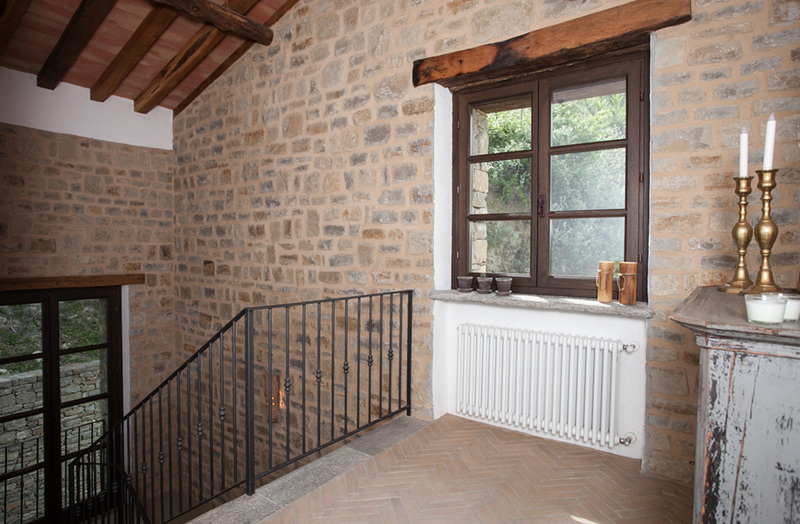 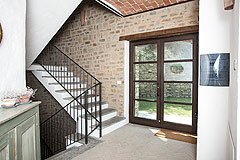 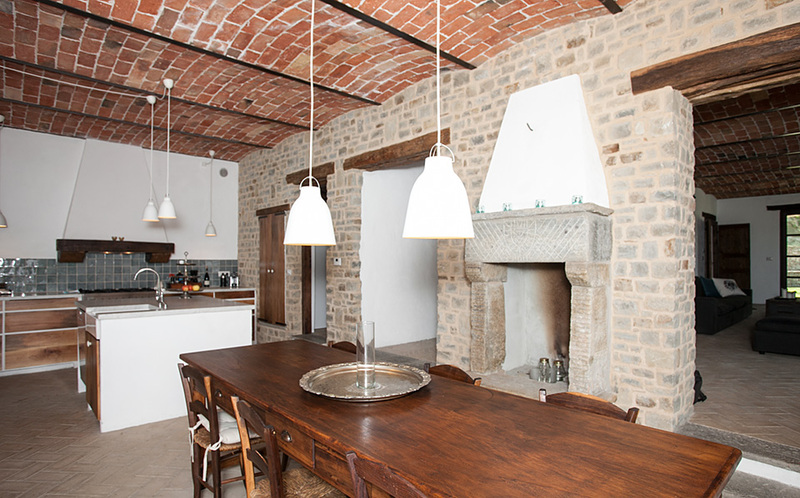 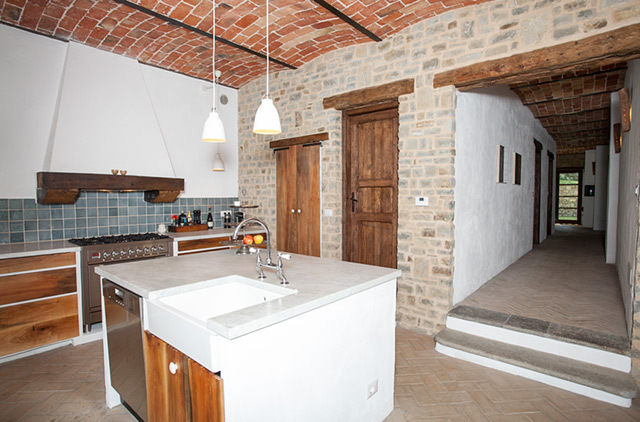 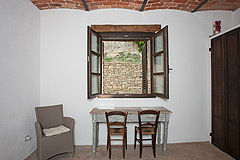 The most beautiful character property restored in a contemporary refined style with only the highest quality materials. 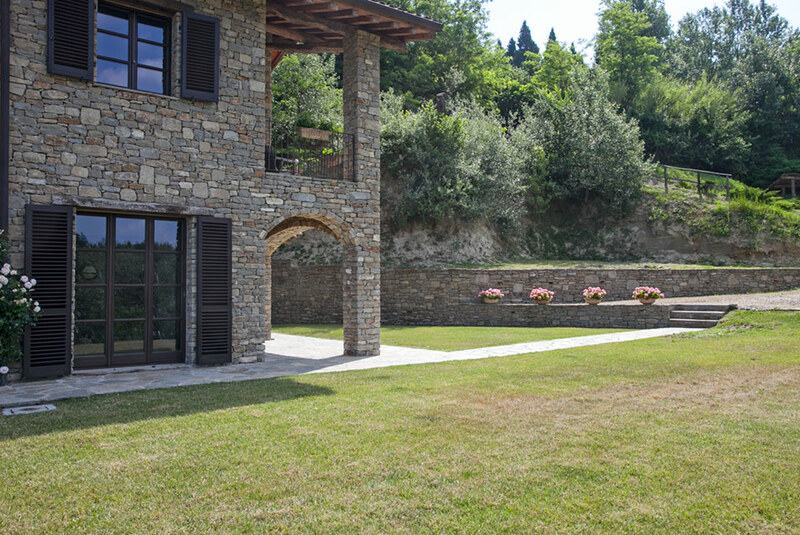 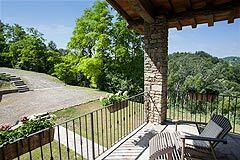 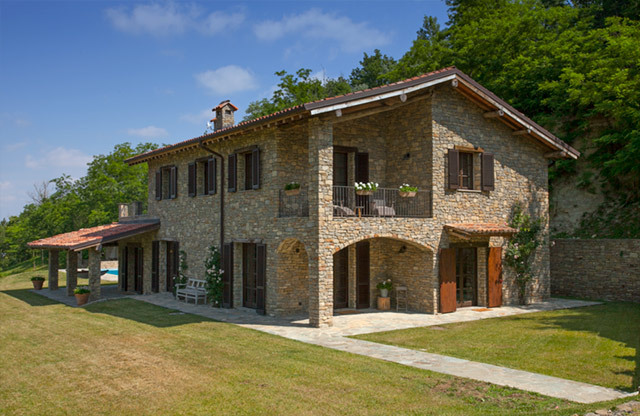 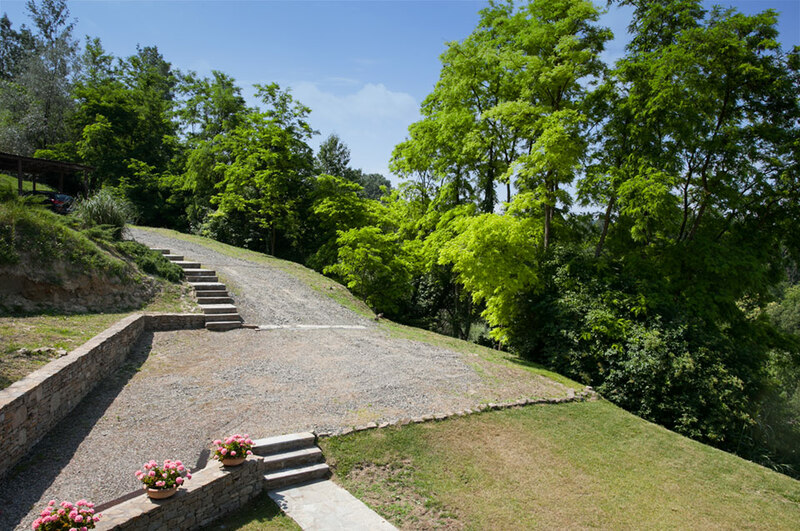 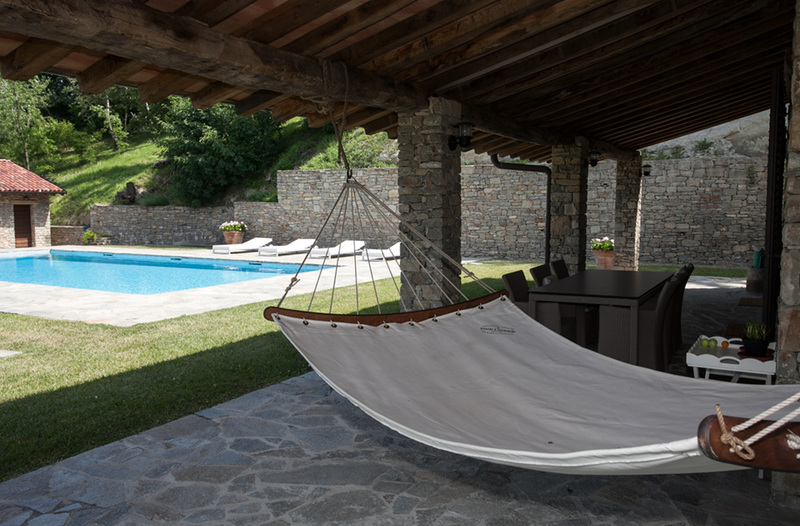 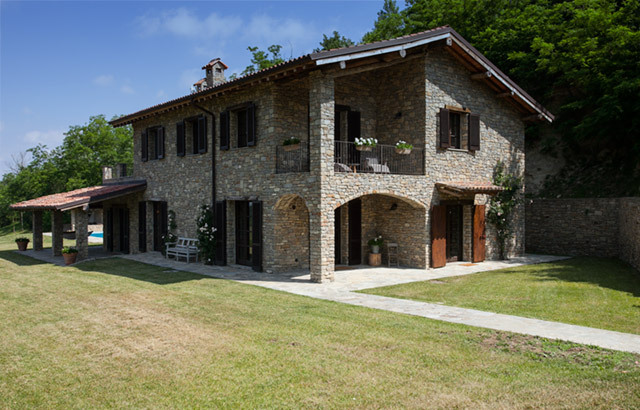 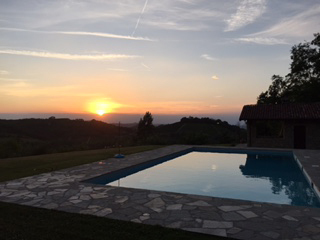 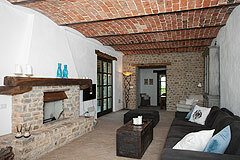 Stunning location in a tranquil countryside position yet just minutes to a vibrant Italian town. Prestigious country estate situated in a south facing panoramic location with stunning views over the surrounding vineyards and mountains. 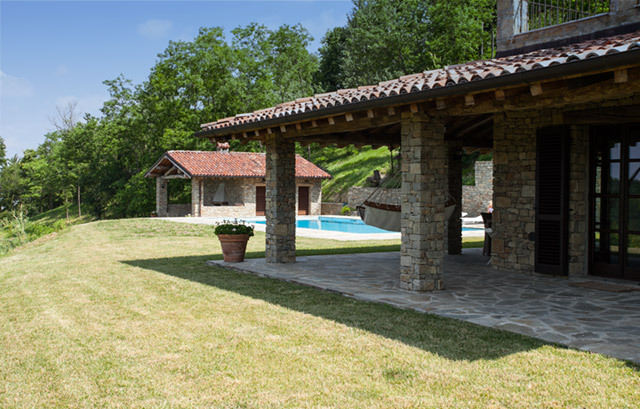 Located in a tranquil private position and approached by its own private gated entrance. A short drive to a vibrant Italian City where you have a weekly market, restaurants, wine bars , shops, delicatessen and fresh pasta stores. 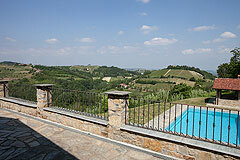 Asti,Alba, Acqui and Nizza Monferrato and Canelli are all a short drive away. 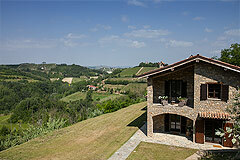 Milan, Turin, the Italian Riviera, Italian Lakes and Alpine ski resorts are all close by. This luxury character home has been reconstructed using the original old materials from the ancient stone ruins that dated back to 1890. 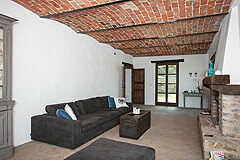 Today it is the most beautiful spacious luxury character home. The original character of the house has been carefully recreated using skilled local craftsmen with features including vaulted ceilings, cotto floors, high wood beamed ceilings, feature staircase and hand crafted cupboard and doors. The property has been constructed with the highest quality materials, and is in excellent condition. Elegant spacious Living Room featuring brick exposed vaulted ceilings, cotto floors a stone fireplace and three sets of French doors opening to a covered terrace area and garden areas. Open Plan Kitchen and Dining area. The kitchen feature hand crafted cupboards, a marble work surface and high quality appliances. The dining area features a wooden beamed ceiling, character fireplace and more French doors to access the covered terrace and Swimming Pool area. 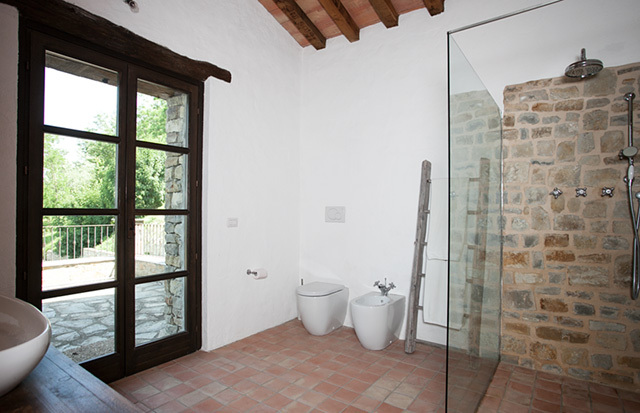 Contemporary character Bathroom with walk in shower. Master Bedroom Suite - a stunning room - ensuite with walk in shower and basin on natural wood surround. Featuring high wood beamed ceilings, cotto floors and access to a very large terrace overlooking the grounds and swimming pool area - this area is for breakfast, morning coffee, an aperitivo or just relaxing in the Italian sunshine. 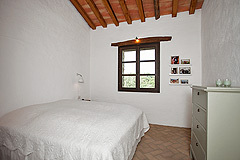 Bedroom 3- with high wood beamed ceiling, overlooking the views to the front of house. 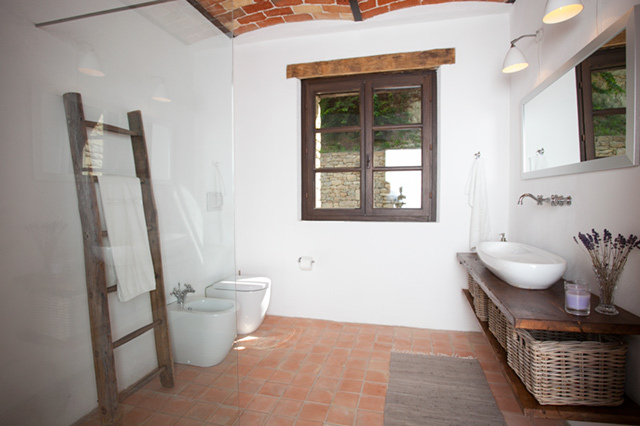 Luxury bathroom with spacious walk in shower and oval basin on natural wood surround. 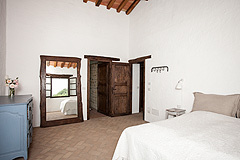 Bedroom 4 - featuring a high wooden beamed ceiling with windows to the front and French doors to the side of the house which access a large private balcony. 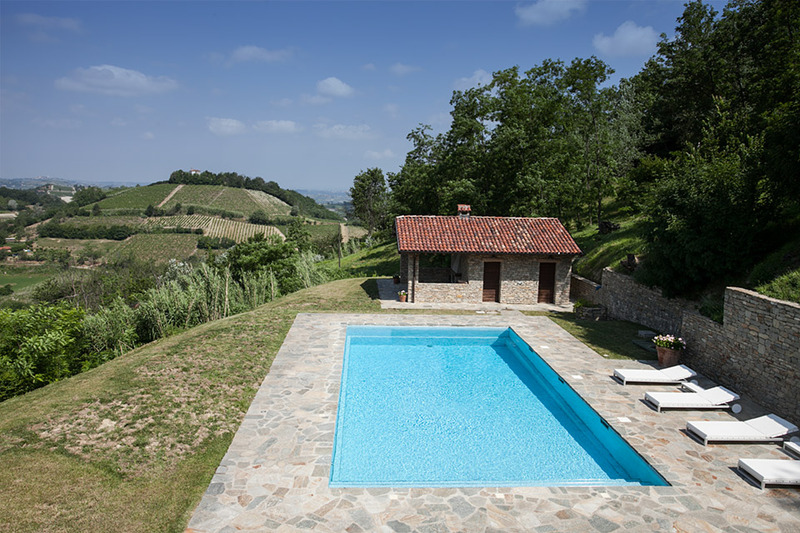 The luxury swimming pool is situated within the grounds enjoying the breathtaking vineyard and mountain views. 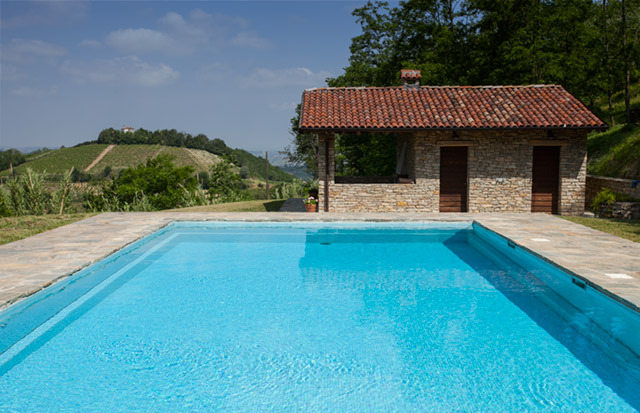 The pool measures 12 x 6 so is perfect for serious swimming and is surrounded by a beautiful landscaped garden area. 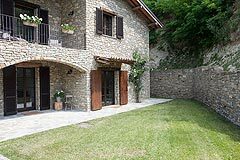 There is a stone building close to the pool, used to store furniture and also with a covered portico with fireplace, perfect for romantic alfresco evenings in Spring and Autumn. 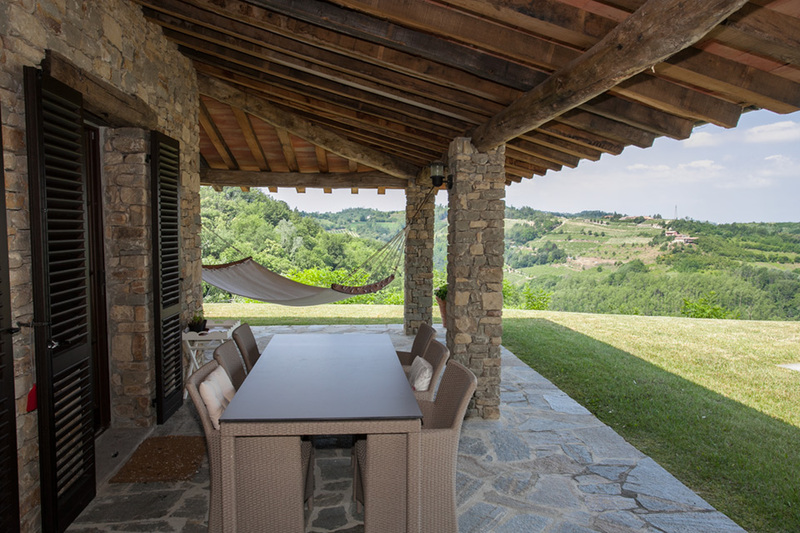 There is a covered terrace area that surrounds the whole house allowing one to truly enjoy the Italian alfresco lifestyle.